The Beer of The Summer. A beer as legendary as the Holy Grail. The beer that turns a sunny day into a glorious, shiny summer day. 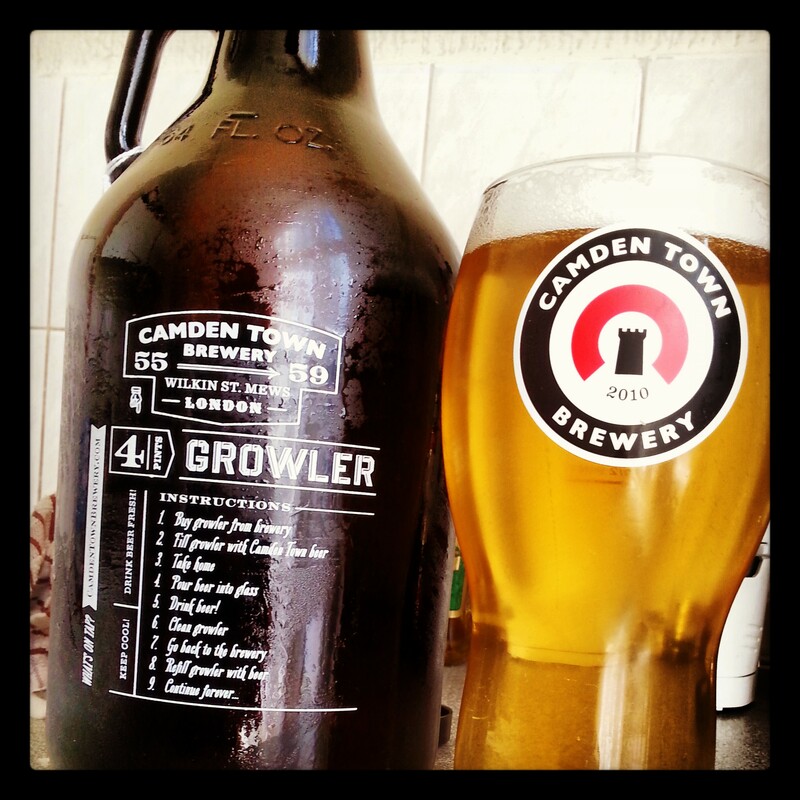 I tasted such a beer last year: USA Hells Unfiltered Lager from Camden Town Brewery. Its release heralded the opening of the brewery’s on-site bar, and began their tradition of hosting street food vendors and serving cool, brewery-fresh beer in classy surroundings. I thought the beer was sensational, a truly innovative fusion of clean, crisp lager and American hop razzmatazz. Then, one day, the limited run of USA Hells was no more. I have, from time to time, heralded other beers as contenders to the crown. BrewDog’s Dead Pony Club and Kernel’s recent Saison both have what it takes, but neither compared to the crisp, schizophrenic perfection of Camden’s lager supercharged with Cascade, Centennial, Columbus, Citra and Simcoe. I was therefore understandably frantic with glee at hearing of its return. 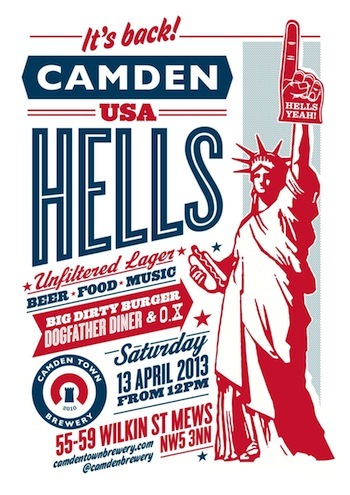 On Saturday, Camden relaunched USA Hells at the brewery bar with the help of local meatslingers Dogfather, Big Dirty Burger and O.X.. The weather varied between cloudy and mild, and wet and wild, but as ever the atmosphere at the brewery was great. A lively crowd of beer seekers mixed with local families and friends just hanging out at the brewery. The beer itself was just as fantastic as I remembered: at once creamy, sharp, zesty, floral, clean, smooth and sweet. But what food to pair it with? 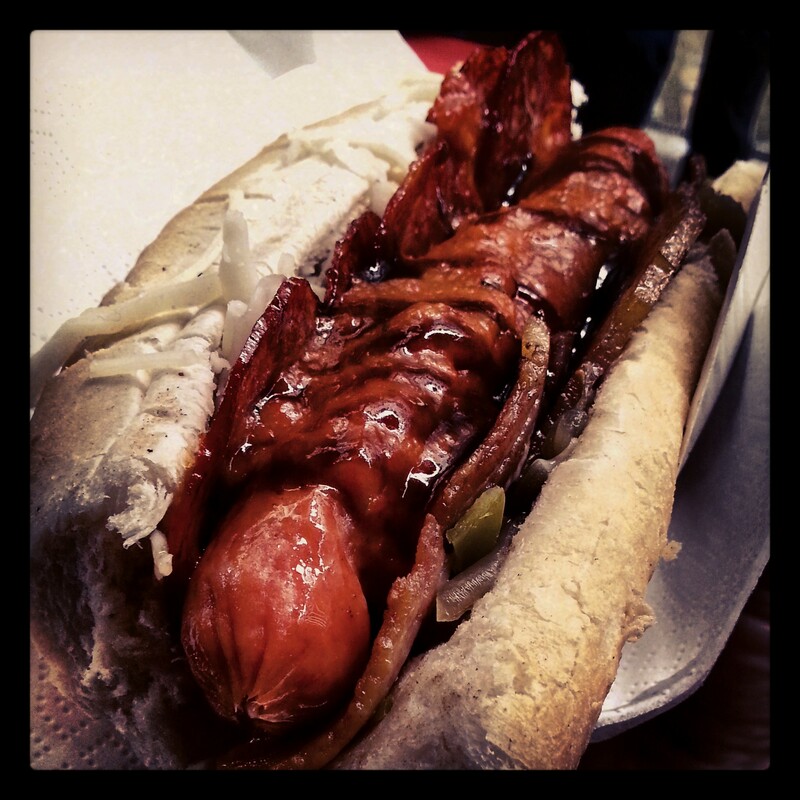 I had the Boss Hog from Dogfather Diner, which was quite frankly the best hot dog I have ever eaten. A beef frankfurter with chorizo, jalapeños, cheese, streaky bacon, marinara sauce… There are probably other things too, but I couldn’t look at the thing any longer without eating it. As a pairing, the USA Hells was excellent at stepping in to clean my palate and wipe away any heat or salt, so each delicious mouthful of the Boss Hog was as amazing as the first. My advice to anyone in London is to get to the brewery sharpish to taste the draught and buy some bottles to save for a sunny day. Better still, you can now buy 2-pint and 4-pint “growlers” (I prefer Gentleman’s Beer Conveyance). The large ‘Senior’ model is £5 and a 4 pint fill costs £10. At that kind of price, you’d be a fool not to go back every week! USA Hells is back. Long live the king. Crikey, are we declaring The Official Beer of the Summer already? I’ll have to see if I can raise your USA Hells. It’s last year’s champion, undefeated. It’ll take on all contenders. I want all this sooooo bad. You lucky, lucky man.